Time flies very fast and it waits for no one, I am certain that many adults will attest to this fact. And this applies to the parents that have children as well; they will basically grow right in front of your eyes. It is only a choice on whether; you as a parent choose the take an active participation in your child’s life. With a blink of an eye they will progress from kindergarten to college and before you know it they will be joining the work force. Obviously you would not be reading this article if your child is doing well in school, in fact your task as a parent would become easier. The responsibility of being a parent will become difficult when they don’t; this is because you have very little control in the child’s educational input. And the only time that you are able to get involved is when they bring back the homework that they are supposed to do, from the report cards or even news of their misbehavior in school. This situation is frustrating for parents as they will not know what is really going on in school and how to remedy the obstacle if they do encounter problems. Here are a few tips for parents to guide their children towards obtaining better grades in school. The first thing that you need to do is to make sure that they know what they do in school is important not only just for them but for you as well, so it is vital that you take a genuine interest in their education. It is easier said than done and many parents can agree that talking to your child about school is very difficult which means that the most that you can get out from them is a one syllable word such as ‘boring’ or ‘nothing’. So as a parent you need to be able to identify this problem in the break down in communication in order for you to find a solution. What you can do is initiate a conversation that does not delve directly into their school life, so instead of asking what did you do at school or how was school, ask them an opened ended question. This will allow them to reply with a better answer in which you will also get a better knowledge of their school life. Getting them to talk will then be an easy task between both the parent and the child, one thing that parent’s need to take note of is that they foster the habit since their child was young. It will be much easier for them to talk to you and if the child keeps it up they will not just talk to you about school but other things that are happening in their lives as well. It will not turn awkward when suddenly out of the blue when their in college and you want to ask them about how they are coping. Besides you yourself, your child will most probably interact with their teachers on a frequent basis. So it is not your child that needs to be aware of your intent, the teachers at the school also needs to know about this. This means that when you are attending the parents’ consultation; make sure that you are prepared to ask the teachers relevant questions regarding about your child’s education. It would be easy for you just to attend the session, but a lot of times parents are just stumped by the feedback that they get from the teachers. So if you are the type that does not like surprises it is best recommended that you do your homework just like your children and make aware to the teachers that you are in full support of the child’s education. For busy parents that cannot find the time to talk to the child’s teacher, usually the time to see the parents is when they go to collect their report cards or during PTA day. One thing that can be done to eliminate this obstacle is to get the email of those particular teachers. The teachers themselves can directly communicate to you regarding the progress of you child’s education and it will become even more useful when the child is misbehaving in school or is not bringing back the letters and announcement home from school. There are a variety of ways in which you can support you child in their education but first you should be aware in what they are doing before you can assist them. Make time from your own busy schedule and see that you allocate a few hours every night to focus on their homework. One of the good habits that you would need to foster in them is to make sure that they do not do last minute work. Not only will they produce work that is not of quality, you as a parent would be wasting time trying to help them to finish the work. Another thing is their class work where you can help them prepare for in advance, so that they are prepared once they attend the class in school. Parents should also check up on their children’s progress on a regular basis, this is to ensure that you know what you child is up to as well as to prevent yourself from getting the shock of your life when you actually find out that they have sat their all night without even touching a single question. Rarely would you find children asking for help in school and the teacher unfortunately is only one person attending to 30-40 students at a time. What you would need to do is to encourage them ask questions especially when they do not understand a particular question or topic. It is also important to play to your child’s strength, so for example some children may be excellent at recalling information orally as compared to writing the information on paper. This does not come as a surprise as many children find it hard to learn through books and some find it even harder to get the information down in writing. See what your child is more capable of doing and try to develop it, you can also rely this information to the teacher so that they are able to attend to your child’s needs. Like stated earlier the teacher, as hard as they try are not able to give their fullest attention to each and every single student. 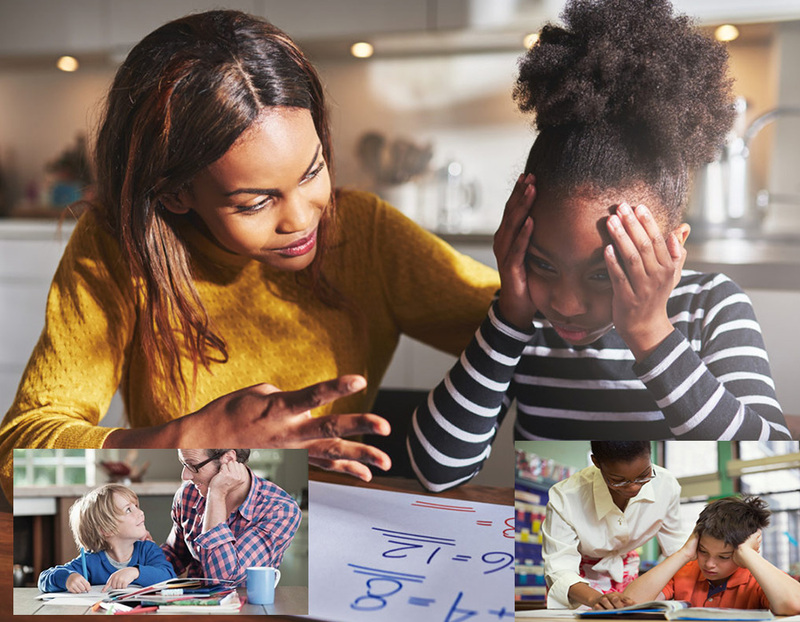 While homework and exams are an important part of your child’s life, as a parent you should not let your child be wrapped in just that particular area of their lives. There are other things that they need to do that will also help them in their growth and development. So designate a specific time every week for your child to unwind and relax so that they can do the things that they want to do because even adults need a little relaxation in their lives. Always be supportive in what your child is doing, adding pressure will only prevent them from accomplishing the task at hand. Just turn the situation around and see for yourself, would you want your boss lingering over you constantly and shouting at you to get the work done? Not very pleasant is it?